One of the main purposes behind the formation of a corporation in New York State is to insulate the principals of the corporation from personal liability for the corporation’s debts and obligations. The general law is that once a corporate is legally formed, and the business observes the specific requirements for corporate formation and structure, such as the filing with the New York Secretary of State of a certificate of incorporation, the officers and directors of the corporation are not personally liable for the obligations of the corporation. Of course, as with any general principle of law, there are always exceptions. Some of these exceptions include a situation where it can be shown in Court that the corporation was formed fraudulently, and is serving as a mere “alter ego” of an individual. Proving this can be difficult, and would depend on the individual circumstances of the corporation’s day-to-day operations. This legal concept is known as “piercing the corporate veil,” and is applied very rarely to assign personal liability to a corporation’s officers and directors. A more common situation, and one which will be examined in more detail in this blog post, is where a corporate officer or director personally guarantees the obligations of the corporation. 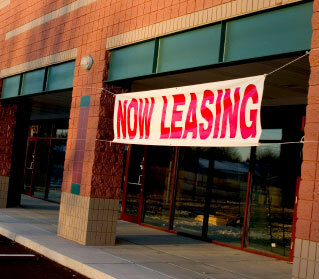 One example is where the corporation seeks a commercial lease for office space or a retail store. A landlord may demand that a corporate officer personally guarantee the corporation’s obligations under the lease. If the corporation then defaults under the lease, the individual who guaranteed the lease may find himself personally liable for the corporate obligations under the lease. A more limited type of personal guarantee in a commercial lease is colloquially known as a “good guy” guarantee. Under a good guy guarantee, the personal guarantee only applies during the portion of time the business is in possession of the commercial space at issue. Once the corporation is no longer physically occupying the commercial space in question and surrenders the keys to the landlord, the personal guarantee will longer apply, although the corporation may still be liable under the terms of the commercial lease. Another common type of personal guarantee is a situation where a vendor provides a form contract which may contain language attempting to individually obligate the party who signs the contract. Under New York law, the personal guarantee language in such a contract must be “clear and explicit.” What this means is that, in order to be enforceable against an individual, the individual must sign the contract as a guarantor, with specific language stating that he or she is personally guaranteeing the corporate obligation. This requirement has been interpreted as requiring a separate and distinct signature line for a person signing on behalf of the corporation (as a corporate representative), and a second signature line for a person signing on their own, individual behalf as a guarantor for the corporation. If there is only one signature, and the person’s title, such as “president,” or “owner” is listed next to their name, New York Courts will often interpret this as obligating only the corporation, and not the individual signing. Our firm has defended individuals who have been sued as individuals for corporate obligations. Often, the language being relied upon by the creditor in the contract at issue is insufficient to attach personal liability, and the Courts have held that only the corporation may be liable for the obligation. If you have been sued individually for a corporate obligation, please feel free to contact our firm to discuss how such an action may be defended in Court. Further, we are available to draft or negotiate commercial leases, including all aspects of guarantees, as applicable to each client’s business goals.